Turkish Airlines and Oman Air have revised the codeshare agreement signed earlier. Under the revised agreement, Turkish Airlines will codeshare on Oman Air operating flights to Salalah while Oman Air will codeshare on Turkish Airlines operating flights to Rome, Copenhagen and Algiers. The codeshare agreement allows guests to benefit from the outstanding products and services offered by both carriers on these routes. 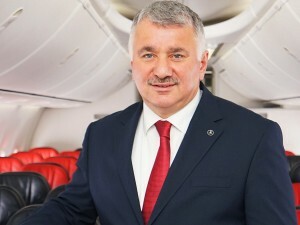 Bilal Ekşi, Deputy Chairman and CEO, Turkish Airlines expressed, “Witnessing Oman Air’s direct flights to Istanbul within the scope of our existing codeshare agreement has always pleased us. 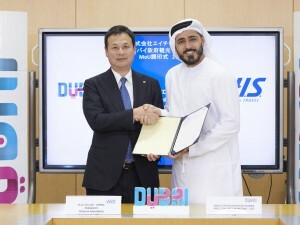 Now extending this agreement in order to increase the travel opportunities offered for our passengers through our networks made us more delighted. We believe that this codeshare enhancement with Oman Air will exposure further cooperation opportunities for both airlines together with growing relations between our countries.” Abdulaziz Al Raisi, Chief Executive Officer, Oman Air commented, “Oman Air is happy and proud to be associating with Turkish Airlines which is a globally recognized network carrier. It is an ideal partner for Oman Air, which has justifiably attracted a reputation for offering the highest levels of comfort, luxury and outstanding service. 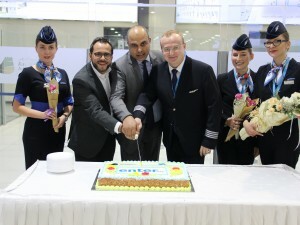 As we continue to expand globally, codeshare agreements such as this help us spread our wings to newer destinations and bring us more partners and guests.” Turkish Airlines and Oman Air currently operate one daily flight each on the Muscat-Istanbul route under the reciprocal codeshare agreement. The schedule of these flights are designed to complement each other by allowing same day return trip at Muscat and Istanbul. flydubai will operate flights to three points in Kazakhstan following the relaunch of its Shymkent service. The twice-a-week service will be offered from December 28, 2018. flydubai has been flying to Kazakhstan since 2014 and together with the re-launched service to Shymkent and existing flights to Almaty and Astana, the airline will operate 13 weekly flights to three points in the country. 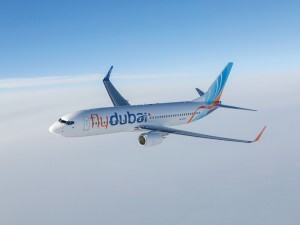 Commenting on the recommencement of flights to Shymkent, Ghaith Al Ghaith, Chief Executive Officer, flydubai, said, “We are pleased to see the strengthening of direct air links between the UAE and Kazakhstan, which provide more opportunities for the development of tourism and trade flows. 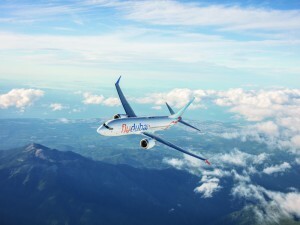 flydubai has been flying to Kazakhstan since 2014 and we have seen over the years a positive demand from the region.” With flydubai, Business Class passengers can enjoy comfortable spacious seats and a variety of dining options onboard, as well as a priority check-in service and lounge access. flydubai offers its Economy Class passengers numerous features onboard including comfortable seating, a range of tasty snacks to purchase during flights and an award-winning in-flight entertainment system with more than 1,000 hours of films, television, music and an extensive range of Arabic, English and Russian content. The airline’s latest offering includes WiFi connectivity and Live TV on selected flights. 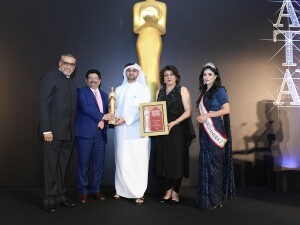 Jamal Abdulnazar, Chief Executive Officer, Cozmo Travel, has been conferred the Gallery of Legends trophy at the Arabian Travel Awards held in Dubai. Having moved to the Kingdom of Saudi Arabia to start his career in tourism at the age of 21, Abdulnazar’s dedication and passion for the industry made sure that he never looked back. With a mission to cater to everyone with travel aspirations, he set up a travel agency in 2010 with a team size of five. Today, this pioneering agency has a staff strength of 900, turnover of 1.2 billion dollars and 100 branches across seven countries. His phenomenal achievements are attributed to his progressive vision and leadership. Nasir Jamal Khan, Chief Executive Officer, Al Naboodah Travel and Tourism, has been honoured with the DDP Game Changer award. With a career spanning over 30 years, Khan is an influential personality among travel and tourism industry players in the region due to his vast knowledge and experience in the two key markets of Kingdom of Saudi Arabia and the UAE. 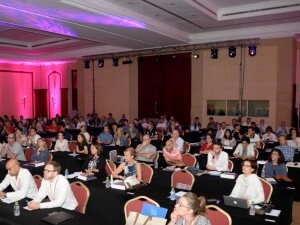 With a rich network of strong relationships, he has successfully placed his organisation as a leading travel company on the tourism map of the UAE. He gets the right travel apparatus to suit the clientele according to time and relevance.